We apologize for any manufacturing issues with our products. PLEASE NOTE: We cannot send individual pieces. Please use the form below to send us a warranty request. We will send you a custom-made repair kit that will seamlessly cover the missing area. If you are planning on framing or mounting your puzzle, then this is your best choice. Please note that each puzzle cut is different. You will have to complete the puzzle again from the beginning. If you plan on redoing or gifting your puzzle, then this is your best choice. We will mail you a custom-made patch that seamlessly covers the missing area for your specific missing piece. 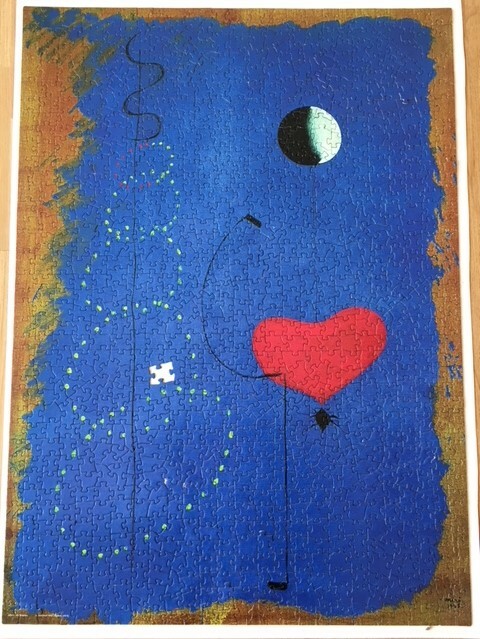 A photo of the completed puzzle with the missing piece visible for reference. We will send you a replacement puzzle. Please note that because each cut is different, you will have to complete the puzzle again from the beginning. Pieces cannot be traded between puzzles. Additionally, we are only able to replace with the same title. 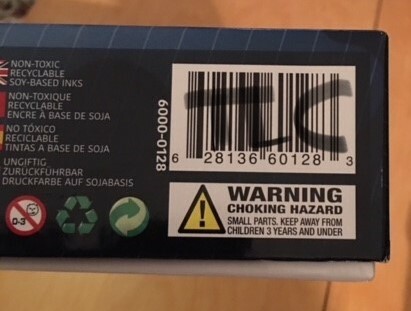 Located on the the long side of the box (stamped, not printed). Starts with a P.
A photo of the barcode on the side of the puzzle box with your initials written over it. Puzzle Photo: A photo of the completed puzzle with the missing piece area or other product issue visible. Unfortunately we are unable to ship replacement jigsaw puzzles outside of the USA & Canada. Please contact the retailer where the puzzle was purchased for assistance. Please note that each of our puzzles is cut uniquely and pieces are not transferable between puzzles.